The Heswall News reports that war has broken out in England. The famous fishery at Larton Livery in Frankby has been invaded by topmouth gudgeon Pseudorasbora parva. 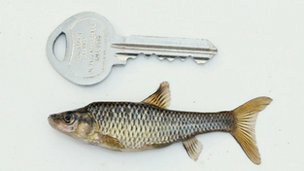 The United Kingdom’s Environment Agency states that the topmouth gudgeon is known to eat eggs and young of native fishes and poses a disease risk to those same species. The agency has specialist teams on site in Frankby where they will remove salmon and trout and then treat the topmouth gudgeon with a piscicide. The mission started with a fish rescue on Monday and Tuesday, in which native fish stocks were captured and transported to the Environment Agency’s fishery depot in Winsford. Today, specialists from the Environment Agency donned protective body suits and face masks as they released the piscicide, known as rotenone, into the Larton ponds. The protective clothing is a bit of overkill, thinks Beel. It’ll really make it hard for these guys to take afternoon tea. After victory is achieved, the topmouth gudgeon eradicated, and the rotenone has broken down, the dislocated fish will be allowed to return home to the Larson Livery fishery. The topmouth gudgeon is a small (maximum length =3 inch) minnow native to Asia. 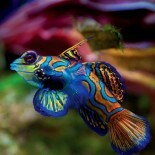 It was introduced in the 1960s into ponds in Romania and then it made its way into Danube, spreading throughout Europe. The topmouth gudgeon was first seen in the United Kingdom in 1990, presumably introduced through the aquarium trade or with carp destined to be stocked into various waters. Since then, the topmouth gudgeon has established over 25 populations across England and Wales. The topmouth gudgeon can carry a parasite, Sphaerothecum destruens, that has little effect on the topmouth gudgeon, but which attacks other fishes resulting in reproductive impairment and mortality. Previous to the eradication effort at Larton Livery, efforts have been made to remove topmouth gudgeon from several other waters within England and Wales. All of this aside, Beel thinks the Larton Livery fishery sounds like a lovely place to spend a few hours. If you don’t mind following a couple of rules. Beel notes that this list is longer than the constitution of half the countries in the World. 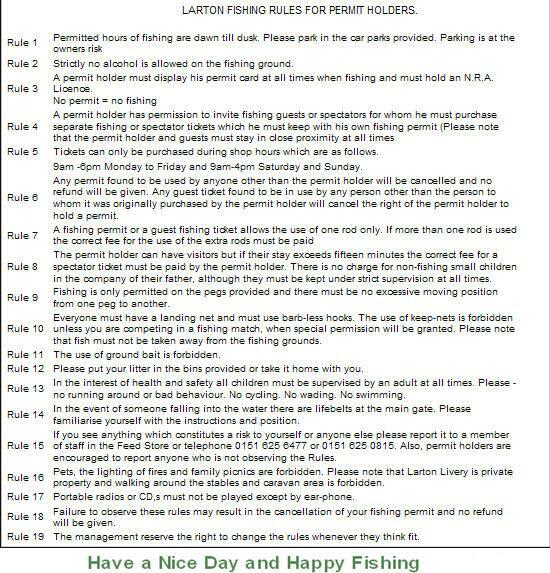 Obey all of this AND have a Nice Day and Happy Fishing? This entry was posted on January 9, 2013 by denstormer in Commentary, Conservation and tagged Europe, fishery management, invasive species, little fishes.